Country music maverick John Anderson anticipated changes in the industry long before they came to pass. Why not? 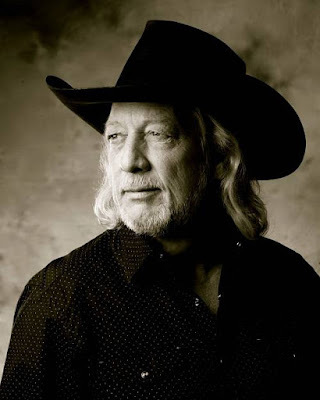 Since hitting the big time with “Swingin’” in 1982, Anderson has not only forged a first-rate career (with such hits as “Seminole Wind,” “I’m Just an Old Chunk of Coal,” and “Straight Tequila Night”), but maintained his artistic integrity while doing it. He continues to invest that same craft and conviction throughout his latest LP, Goldmine, writing or co-writing 12 of the album’s 13 songs while, with the flirtatious “Magic Mama,” recording a Merle Haggard original. How did you get to cut a Merle Haggard song that Merle Haggard hadn’t even cut? Well, actually, he ended up writing it for me. I could tell you the story, or the basics of the story. He called me one day and said, “I’m writing this song and the more I write it the more it sounds like you.” He kind of chuckled, and I said, “Well, man, just finish it and I’ll do it, no questions asked.” I mean, what do you say when Merle Haggard says he’s writing a song and thinking about you? I was very flattered, to say the least. Indeed, I saw him about six months later, and I said, “Did you finish that song?” He looked at me, smiled, and pulled a piece of paper out of his back pocket. It was that song, “Magic Mama,” the lyrics. He called for a guitar and played it for me. That was one of the highlights of my life, just having Merle play me that song that he’d written with me in mind. You wrote or co-wrote all the other songs on Goldmine, and a lot of these songs are story songs with characters and narratives. I like those kind of things. As a songwriter, how do you find your way into those kind of songs? Part of that is just writing country music, and doing it for a long, long time. To me, that was… Those songs used to be a big, big part of country music.... Things have changed, is what I’m trying to say. Actually that kind of writing — that kind of song — is virtually on the way out, I’m sad to say, because I still like it. That’s why Goldmine sounds the way it does, because I still like that kind of music. And, you know, we still have several fans that still really like it. So, indeed, when they tell me, “Well, those 17-year-old kids don’t like that. They said it sounds old.” Well, I really ain’t playing it for those 17-year-old kids. I’m playing it for the people that want to hear it, because I like it. I’m not doing it because somebody else might like it. I’m doing it because I really enjoy it, and we still have enough fans to sustain us while we do it. Right there is the answer to all the questions in the music business: Can you go out and draw a big enough crowd doing your songs to pay the bills? And yeah, after 40 years, I can say that we already did. Of course there are also younger generations, too, that appreciate your music. We do have that, and again, I’m very flattered. When the young people do come out and enjoy the shows and enjoy the records, that’s always a wonderful feeling. There again, for the folks that don’t care for it or don’t like that kind of music, with a very simple apology, we don’t play anything else. That says something about your integrity, that you’ve remained so consistent. Oh yeah, we have to be true to what we do because, like I say, it’s been true to me. We do pretty good out there on the road each and every year playing these old songs as well as the new ones. But there again, it’s that type of country music that’s causing us to grow in popularity instead of decline because folks know they can actually come and hear real country music when they come and hear myself with the band or even me by myself. Considering the climate of country music today, do you still see a place where you and your music can fit in? Well, it seems only on the classic country stations as far as radio, but as far as social media and YouTube, oh yeah, there’s many, many places where we still fit in. And like I say, we have a wonderful young crowd also. I sure don’t think anything against any of our young fans for listening to other young folks. Music changes, and it should. But over time you’ve found a way to combine rock and traditional country into your own voice. Yeah, and it is what it is. It was a heartfelt thing, and we weren’t joking. It was serious. Our music was then and has been since then — pretty much my whole life — writing those songs and performing them. So, what was meant to be was meant to be. We were coming up with “Swingin’” during the same kind of time that, for instance, the Eagles were doing “Lyin’ Eyes” and such. There was a lot of people wanting to be country-rock musicians at the time. And me, I was just country, but some of our rocking stuff sounded a little bit on the edge for them. But looking back, what would you call “Swingin’” now? It sure wasn’t too rock for country. It’s not too rock for country now either. Not at all. And it wasn’t back then or it wouldn’t have sold three million copies… or four, whatever. Speaking of the Eagles — and in light of Glenn Frey's passing earlier this year — you recorded a version of “Heartache Tonight” back in 1994. How did that take shape? Of course the Eagles, a very influential American music group, and of course Glenn Frey was a big, big part of that as far as the writing and vocals. On their earlier hits he did most of the singing, and I believe he’s credited as a songwriter on just about everything. In this particular case, though, on the Common Thread project — of course I always loved the Eagles — but when I got the news that this was happening, that they wanted me to be on the project and they sent me a list of songs, “Heartache Tonight” was on that list. Conway Twitty had had a Number One record, I believe, on “Heartache Tonight” in the country field. Back when they had a rock hit, he had the country hit. And when I got the news about the Common Thread record, it was at a time when Conway had just passed away a few days prior. So when I saw “Heartache Tonight” I thought, I’m going to do that in honor of Conway and the Eagles. Because it already was the song that that whole album was talking about, the Common Thread. Actually, if Conway Twitty could have a Number One record on it, and the Eagles could have a Number One record on it, surely it was a common thread. I think it shows that good music is just good music. I think so too, and that’s like the song “Swingin’.” I’ve heard “Swingin’” now really rocked up and over, I believe, five or six different languages. So, music is music. You know what I’m saying? It’s all depending on each one’s different take of it.